No Heep when asking "OK Google"
After you assure the volume for it is up, clear the cache partition and reboot. If no tone after, uninstall then reinstall it. You have to enable Accessibility to hear the beep. Not the ideal solution but as far as I know it's the only way now. Which setting? 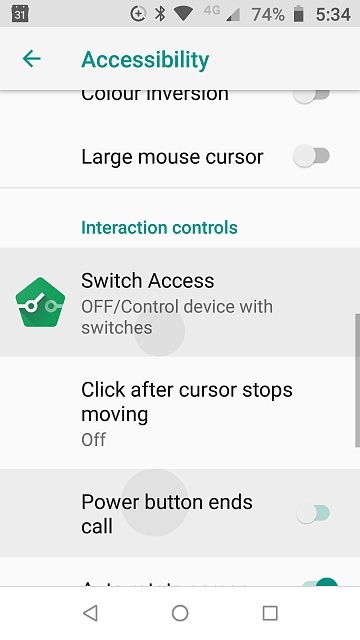 GA doesn't appear on the s8 accessability settings. On the Moto G5 it's Switch Access. PS. I seem to remember reading that if you turn on any of the Accessibility switches it will beep. Maybe a bit of trial and error is needed? The switch above worked for me, but I didn't like being asked in pop-ups to choose more settings, so I then reverted back to not having the beep. Wonder what phone the op has. Also, they should keep the terminology and main setting screens consistent throughout the different mfrs. Guess it keeps a bunch of ui programmers employed. That's why these forums are useful, we can all share our knowledge to the best of our ability. Samsung marches to the tune of a different sand castle.